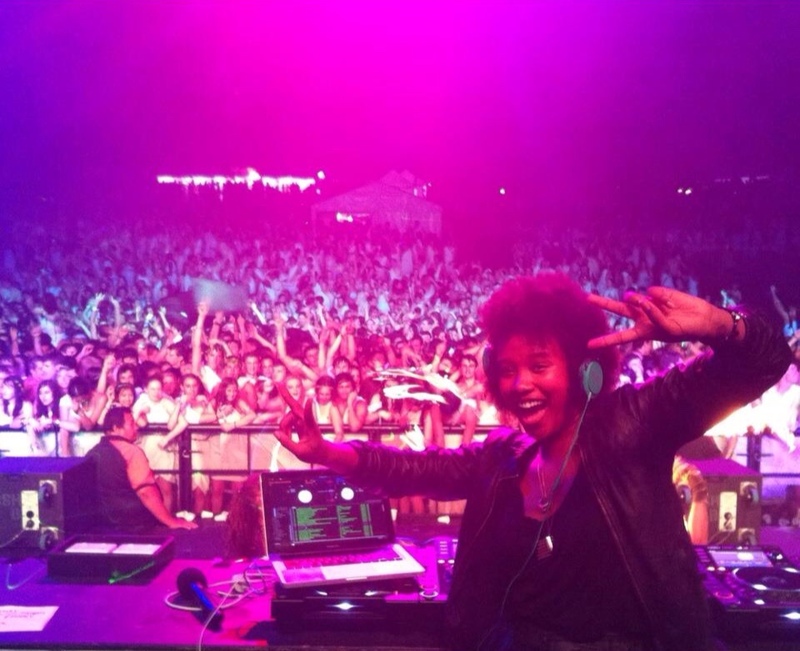 Faustina Agolley is a TV Host, TV Producer, Music Journalist, Writer and DJ. As a TV Host, she’s worked on The Voice Australia, where, as the show’s Social Media Reporter, she bridged the gap between television viewers and online. Prior to The Voice, Faustina hosted Australia’s much loved music program, Video Hits. For five years, she travelled the world to interview music’s biggest entertainers including Pharrell Williams, Alicia Keys, Kanye West, Dave Grohl, Rihanna, Adele, Bruno Mars and Gotye. 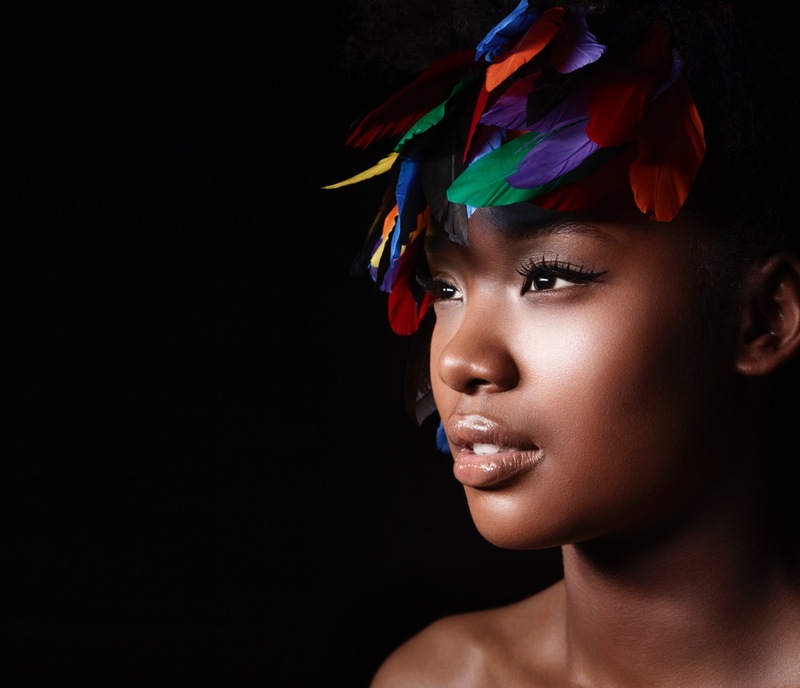 When Video Hits wrapped, Faustina made the bold move from Australia to Los Angeles, to expand her horizons and grow her work in television and online. She now divides her time between Australia, LA and London. We wanted to remind her that she is missed on our screens, but also to hear about her experiences in the USA. She told us that she excitedly looks forward to every day in her new life, and new home, which sounds to us like it was an excellent decision. TGW: How long has it been since you left Australia? FA: I started actively going to the United States in 2010 – when Video Hits wrapped. That’s when I started to look overseas to expand my network. The first time I went abroad was my sabbatical year; I was pursuing long time curiosities of travel, general freedom and exploring television and media, overseas. As part of my sabbatical year, I lived in New York for three months. I watched a lot of TV, spoke with producers, talent agents and immigration lawyers. In that time I’ve been back to Australia for different reasons, one of them being, The Voice. TGW: What was your main reason for heading to Los Angeles? FA: Short-term, front window stuff, it’s working on projects that suit my skills. Initially I was reluctant to go to LA, I felt that the UK leaned more to a lot of what I can offer. I still think that way, especially for the short-term goals. LA is good for many things – firstly, as a geographical point in the world, it makes sense to physically place yourself there. I want to expand my network and opportunities in the UK, the US and Australia. And the best place is LA because it’s fifteen hours door-to-door between LA and Sydney or Melbourne, and London, only ten. LA is absolutely blossoming in terms of what is possible in television, online, and in film. It’s the kind of city that will allow you to collaborate and meet influential people, and similarly, London is like that too. TGW: Do you have a big network in LA? FA: If, by network, you mean friends, definitely. That’s paramount for me. If, by work network – it’s ever expanding and it’s diverse. I think the important thing beyond the size of the network is whether or not it’s meaningful, and whether or not these people are good people – I can tell you, hand on heart, that they are. Everybody that’s in my life, everybody that I intend to do work with, is wonderful. TGW: Being an Australian with a Samoan heritage, I’ve found it confusing sometimes when people treat me differently. A cab driver in San Francisco once asked if I was the Momma or the nanny? How have people responded to you in the States? In a social context it’s been great for me. I don’t feel a prejudice in any way. To be fair, I think LA is one of the best cities to be in, being mixed race, a creative, an expat and gay. LA is far more progressive, open and accepting than most places in the world! You mentioned feeling confused. I think I confuse people everywhere I go! Perhaps it’s our life mission to confuse people. Being mixed-race, having this accent, and now having come out throws people off. I really don’t like being called exotic by the way. Like I’m a rare species of bird. America and the UK are so far ahead yet still have so far to go. Australia needs a mass fast forward. The internet will do that if mainstream networks don’t catch up. TGW: What do you miss most about home/Sydney? FA: A double shot piccolo almond milk latte and bare foot running on Bondi Beach. Not. I do love Bondi though. And the sea baths. I have a lot of family in Australia, so I miss them a great deal, but living abroad is a choice. When I am home, I’m enjoying my time in Australia, more than taking it for granted. Listening to Dame Edna is soothing for home sickness. You’d be surprised at how being called a “possum” can do for the ‘ol anxiety! TGW: What’s been your favourite thing about moving to the States? FA: Being tremendously uncomfortable, and pushing through the uncomfortable… to then make life comfortable. It’s been a personal triumph to re-establish myself, set up a foundation, trying to understand a way of life, getting a rhythm, a routine and making friends in a new country – they’re welcome challenges. Also, I liken LA to a treasure hunt. I’m still very much experiencing LA/ the US through tourist eyes. So everything is novel. TGW: What’s been your most challenging time abroad? FA: Agent meetings in LA have been the most challenging. That was on one of my initial trips to the U.S. Hence, I wanted to abandon plans and go to London. I had to not take that personally, and realise that perhaps that is what a lot of people want to hear. When I brought up creating my own ideas, thoughtful television etc. their eyes would glaze over. It was comical. That said, this industry is changing so rapidly, those days will be done, soon enough. It just gives me far more permission to be myself and not compromise on my aims. TGW: Do you have any advice for other Aussies looking to move over? FA: A good attitude. Stay open. Research, and by that, I mean immerse yourself in the place. Meet with other meaningful Australians, who are willing to help you out in any way. Private members clubs I feel are useful. I know they sound wanky, and it’s very Northern Hemisphere, but they’re wonderful hubs to meet people. They’re places where you can naturally collide with people in your own industry (sounding so wanky right now), and people in other industries completely unrelated, yet may surprisingly compliment your life and work. Places like Neue House, Soho House, and other shared working spaces are excellent. You also need an A-game immigration lawyer. Research them. Challenge them and the kinds of visas you may be eligible for. If things don’t make sense to you, find a lawyer who can explain immigration law to you properly. TGW: Is LA home for now? FA: Yes. Though I’m frequently in the UK and Australia. TGW: What is the one thing you never had the courage to do in your 20s, that you will have no problem with doing in your 30s? FA: I was fearless with my aims, but I revered people too much in my 20s. Malcolm Gladwell refers to this as ‘power distance’. You put people up on a pedestal. You think that you can’t reach them and have healthy conversations. But, I’m not about that anymore. There is no power distance. It’s a person talking to another person, respectfully. I don’t think I have a problem in reaching out, or getting in touch with people in positions in which I was once intimidated by, as I was in my 20s. So, that aspect of revering people, has been replaced with personal confidence and being more level-headed in my approach to others. TGW: What’s next for you? What have you been working on? FA: I’m still DJing. Hosting – only on projects that are most fitting. All this time abroad has opened me up the UK and U.S. now so that’s exciting. There’s been offers to do things o/s but I’m careful with what I say yes to. It has to be fulfilling in some way. I’m writing a treatment for an animation and drama series – flexing my producer bones – getting rights to certain books for film/tv. I’m also in an Australian comedy film called Now Add Honey, coming out on November 5, this year. Robyn Butler and Wayne Hope made the film. They also made ABC1’s Upper Middle Bogan. Portia de Rossi, Hamish Blake, Lucy Fry, Lucy Durack, Angus Sampson and Philippa Coulthard are also in it. I’ve never done a film before, and I’m only in a few scenes. I’m very much the interloper. Its had glowing reviews [in the] LA Times and Huff Post, following its US premiere in May, so hopefully when it hits the screens across Oz there’ll be many bums on seats. Maybe I’ll throw a screening party! 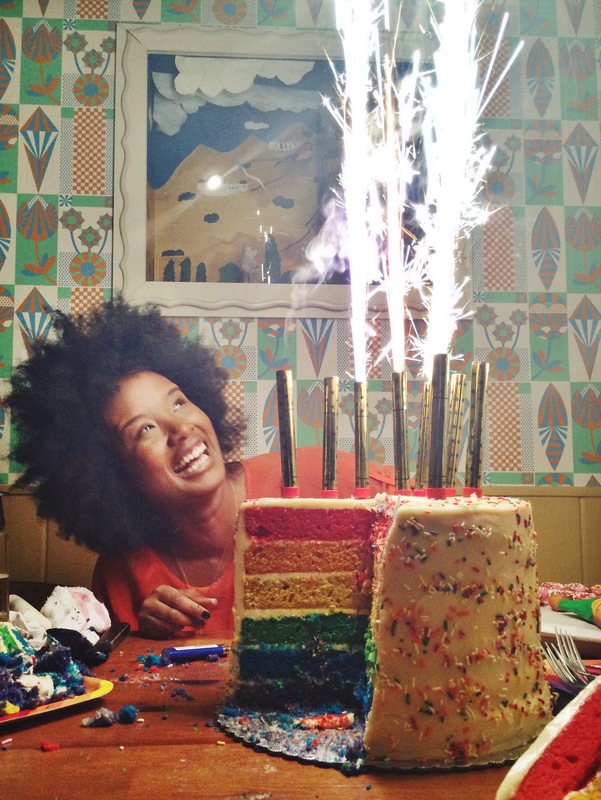 Faustina Agolley: out and proud on her 31st birthday, with a rainbow cake to prove it!